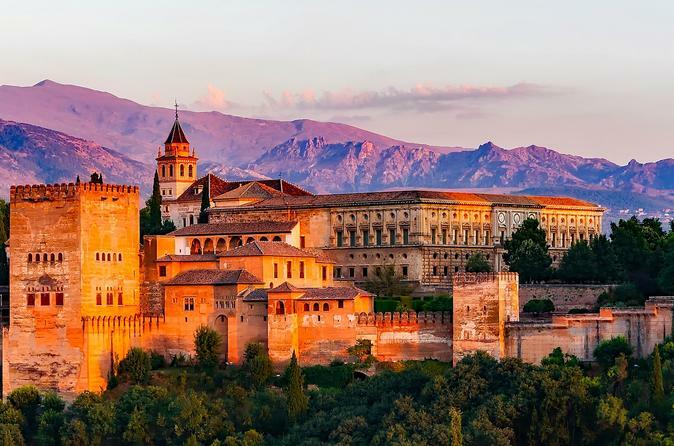 Enjoy a 9 multi day tour through Caceres, Sevilla, Cordoba, GRanada Valencia and more from Madrid. 1st. Day (Saturday) MADRID-CACERES-SEVILLA (560 kms) Departure from our bus terminal at 8:00 a.m. towards the región of Extremadura and arrival to Caceres. Time at leisure to know its Plaza Mayor and to walk through the old city and its famous medieval quarter, very well preserved and considered as World Heritage place. Lunch at your own. Continuation southwards to Andalucia and arrival to Sevilla. Dinner and accommodations. 2nd. Day (Sunday) SEVILLA Half board in the hotel. Morning city tour visiting the typical Barrio de Santa Cruz with its narrow streets, the Park of María Luisa and Plaza de España, with a panoramic sightseeing of the city. Afternoon at leisure. 3rd. Day (Monday) SEVILLA-CORDOBA (145 kms) Breakfast. Departure to Cordoba, at our arrival we start our walking tour starting at Almodovar Gate through the Jewish Quarter and continue for visiting the famous Mosque/Cathedral. Afternoon at leisure. Dinner and accommodations. 4th. Day (Tuesday) CORDOBA-RONDA-MARBELLA (322 kms) Breakfast. Then departure to the Route of the White Villages and Ronda. Free time. Continuation to Costa del Sol. Dinner and accommodations at Marbella. 5th. Day (Wednesday) MARBELLA-GRANADA (180 kms) Breakfast. Departure to Granada. Sightseeing tour including the impressive Alhambra with its beautiful Nazari Palaces and the Generalife gardens. Dinner and accommodations. 6th. Day (Thursday) GRANADA-VALENCIA (498 kms) Breakfast. Departure via Guadix, Baza and Puerto Lumbreras towards the Mediterranean coast and Valencia. Accommodations. 7th. Day (Friday) VALENCIA-BARCELONA (355 kms) Breakfast. Free time. At mid morning departure to Barcelona. Arrival and accommodations. 8th. Day (Saturday) BARCELONA Breakfast and accommodation. Morning city sightseeing tour visiting the Park of Montjuic with spectacular views, Olympic Ring, monument to Columbus and the old Gothic Quarter. Afternoon at leisure. 9th. Day (Sunday) BARCELONA-ZARAGOZA-MADRID (635 kms) Breakfast. Departure through Lerida and Zaragoza. Time free. Continuation to Madrid. Arrival and end of our services.